Why Aren"t You Visiting the Dentist? Are you guilty of not seeing Dr. James Courey or Dr. Joseph Zagami every 6 months? If so, keep in mind that skipping your regular dental visit could eventually land you at the dentist's office, but with far more serious problems. Whether it's time, money, or fear that's keeping you away, is an unexpected visit—with more worry—really worth it? Don"t Brush Your Dentist Aside! According to Wyatt Meyers of Everyday Health, "This is more than unfortunate — it can be downright dangerous, because regular dental visits are a key component of overall dental health. "We use our teeth multiple times a day, every day," says Jennifer K. Shin, DDS, a dentist in private practice in New York City. "They take on a lot of abuse, so coming in twice a year gives us an opportunity to assess any changes that can be easily addressed. If problems are caught early, the solutions are easy, quick, and inexpensive. But a cavity left undiagnosed can lead to a toothache, requiring much more extensive and costly treatments." • Prevent toothaches, jaw pain, bad breath, bleeding gums, mouth sores, cracked teeth, and much more! The best way to stay healthy and address your personal concerns for avoiding the dentist is to let us know. 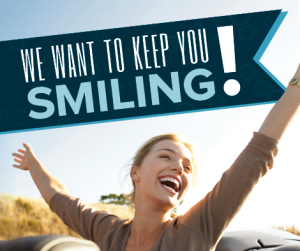 Give Dr. James Courey and Dr. Joseph Zagami at Specialized Dentistry of New Jersey the opportunity to reassure you and get you track towards a healthy smile!